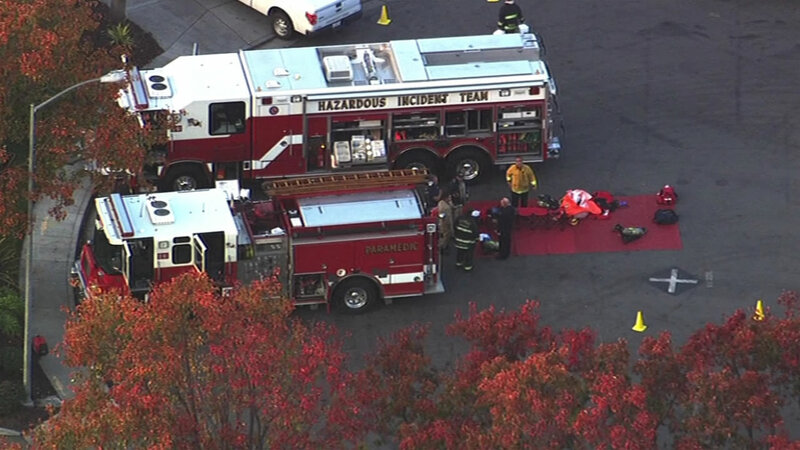 FREMONT, Calif. -- A hazardous materials team has responded to a Fremont business where a container full of acids began to produce gases this afternoon, fire officials said. Reports came in at 2:11 p.m. about a container of acidic waste materials that was producing a gas in the 3000 block of Skyway Court, Fremont Fire Division Chief Diane Hendry said. The container belongs to an undisclosed business there, and a shelter-in-place order has been issued to employees, Hendry said. There are apparently four different acids inside the container, Hendry said. Hendry said the compound is stable right now and doesn't pose an immediate threat to the property or people in the area. There are currently no reports of exposure. As of 3:45 p.m., crews in protective gear were still at the scene. It's being classified as a Level A hazardous materials incident. Once crews finish assessing the material, the container may be shipped to a different location, Hendry said.